The Congress on Friday alleged that senior BJP leader and former Karnataka Chief Minister BS Yeddyurappa had paid over Rs 1,800 crore in bribe to the BJP’s national leaders during the BJP’s government in the state. 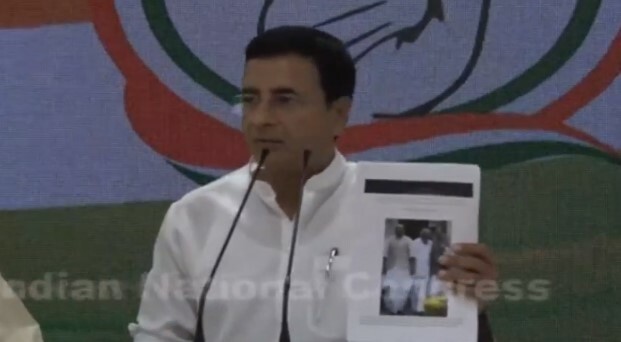 Addressing a news conference in Delhi, Congress spokesperson Randeep Singh Surjewala said that every page of the said diary had siganatures of Yeddyurappa. Surjewala said that on 14 Feb, 2017, his party had had released a video of ‘jail-bird BS Yeddyurappa’ and Late Ananth Kumar. In the video, he added, the two had admitted to keeping a diary and receiving Rs 1,000 crore. Surjewala said that the dairy showed that Yeddrurappa had ‘extorted’ Rs 2690 crore out of which paid Rs 1800 crore to BJP’s central team.